I would like to place the results of the matches during Momo Con but the analytics are still being compiled. I can say that 53 of the 70 available figurines have been collected in a single weekend which means over 75% of the available figurines were collected in a single weekend. Setup day was a give and take day. Anthony returned to help run and work with set up. It was a little difficult getting in with traffic and many vendors coming in to set up when we did. Once we were at the booth and started setting up, the process went nice and smoothly. 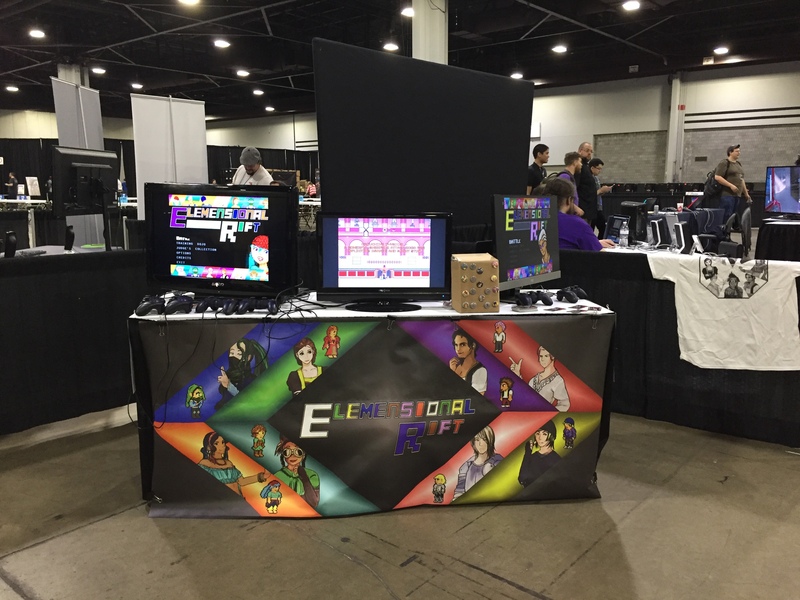 Here is a photo how the booth looked when we were set up and ready to go. First day on the show was a bit slow but expected since people have to work and many do not take Thursday during the day for a convention. This provided time for me to ensure everything was working just right, and the videos on display had a solid and consistent rotation while attendees were starting to appear. I also got to meet up with ToothpickVic, his girlfriend Trouble, and CanHasAmbz. There were plans to meet up with several other streamers but due to scheduling of my panel that night, I was unable to join the group. The panel was about being creative without burning out and was brought back by high demand from the previous year. It was very well received, even if the attendance was small. The more important thing is how valuable it was to the attendees so I would consider it a very successful panel. Friday was another slow start day that was expected because of people needing to work normal day jobs. It happens but allowed time to verify some small bugs and stat tweaks as I continue reacting to feedback. At 2:30, I was part of a Q & A panel that the GGDA organized. If you would like to see it, you can view it here. As evening came around, activity was really picking up and we might have gone beyond when we were supposed to close while players got some last exposure for the day. 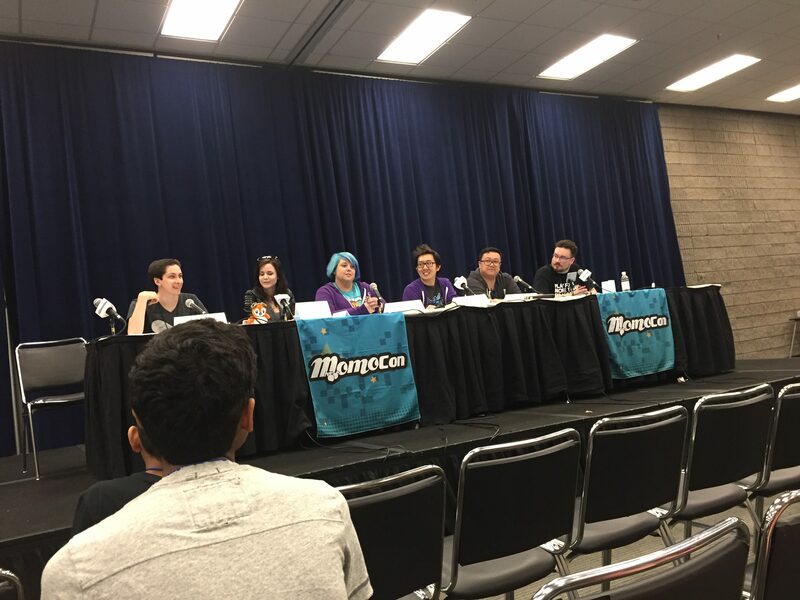 After that, I was able to catch a panel about charity streaming. 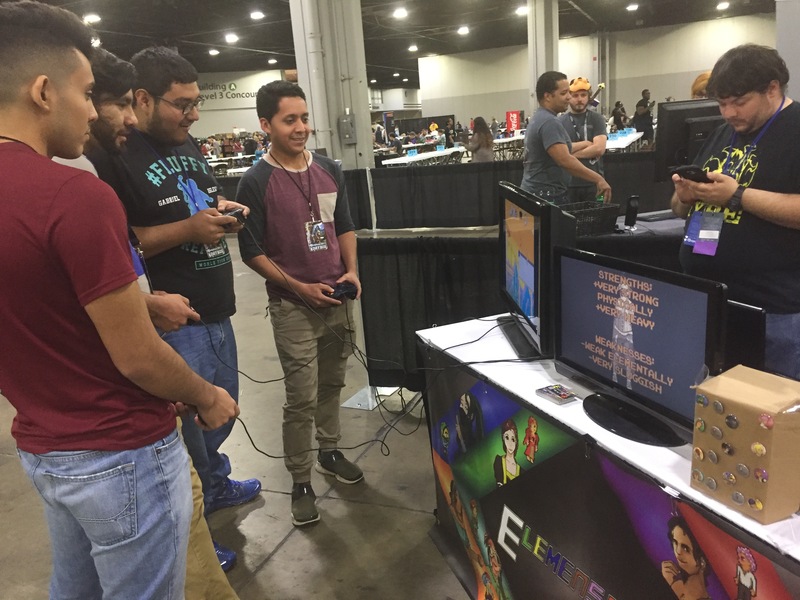 Some of the special guests include UnholyTemptress, Kintinue, iKasperr, and ElvineMod, organizer of the Twitch meet-ups for Atlanta. Saturday was a day with a lot of activity throughout the day. 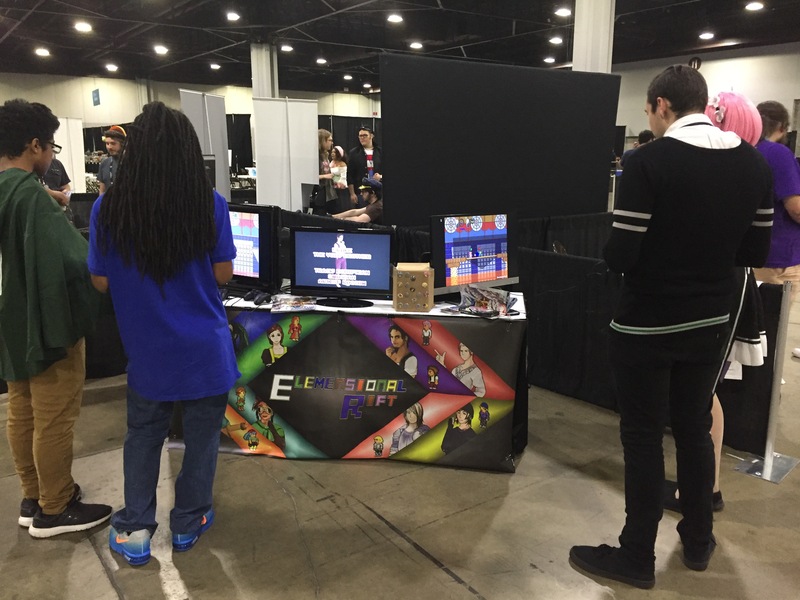 The booth maintained steady traffic, hosting a prime time panel about indie game development, and even was interviewed about Elemensional Rift a few times. As soon as the interviews are shared online, I’ll be sure to share them. Enjoy another picture from the booth. That wraps up the summary for Momo Con 2017. 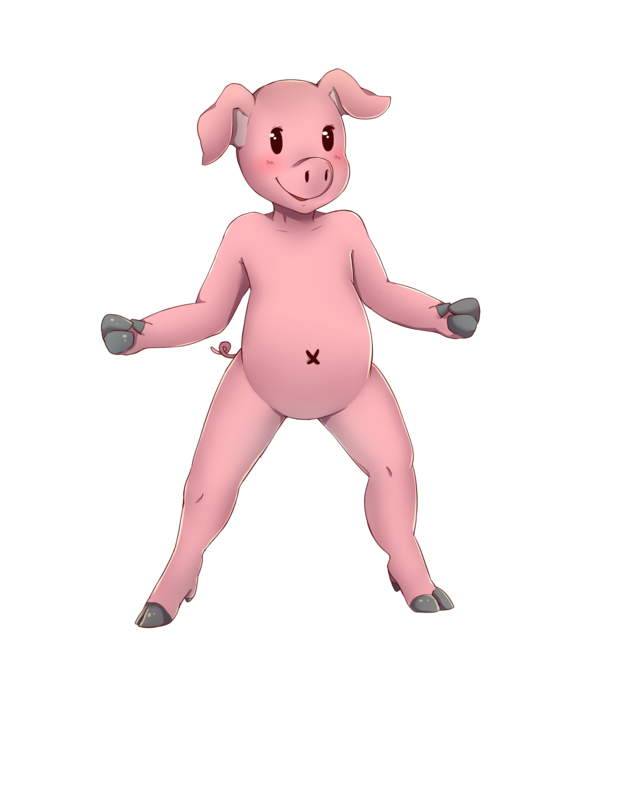 Now I must rush and get ready for Southern Fried Gameroom Expo in just 2 weeks. Take care and hope to see you there if you are in the area.